Two Waldorf, Maryland women have been charged with abducting a 70-year-old man and a 17-year-old boy in two separate crimes. WASHINGTON — Two Waldorf, Maryland women have been charged with abducting a 70-year-old man and a 17-year-old boy in two separate crimes. Charles County Sheriff Rex W. Coffey said in both cases a woman had a gun and approached the victims near their cars. In the first case on April 23, the sheriff’s office said a 70-year-old man was headed toward his car on the parking lot of the LaPlata Food Lion when the woman placed an object in his back and demanded his get in his car. Once in the car, she forced the man to drive a short distance and pick up another woman. Coffey says the two then demanded the victim drive to a nearby bank. When the victim said he didn’t use bank, they demanded to be dropped off in a Waldorf neighborhood. In the second case three days later, a 17-year-old boy was leaving the Westlake Dash-In. As he approached his car near the gas pumps, Coffey says a woman with a gun told the teen to get in. The teen was forced to drive to pick up another woman. They then demanded the boy to an ATM. When he was not able to get money from the machine, the women stole money from his wallet and got out of the car. A day later, police responding to a 4 a.m. shoplifting at a Waldorf drug store spotted the car the shoplifting suspects were using. It turned out to be stolen. The suspects, the sheriff’s office says, matched the description of the abductors. In a search on the Waldorf home where the women lived officers found a black BB gun and other evidence linking the women to the kidnappings. 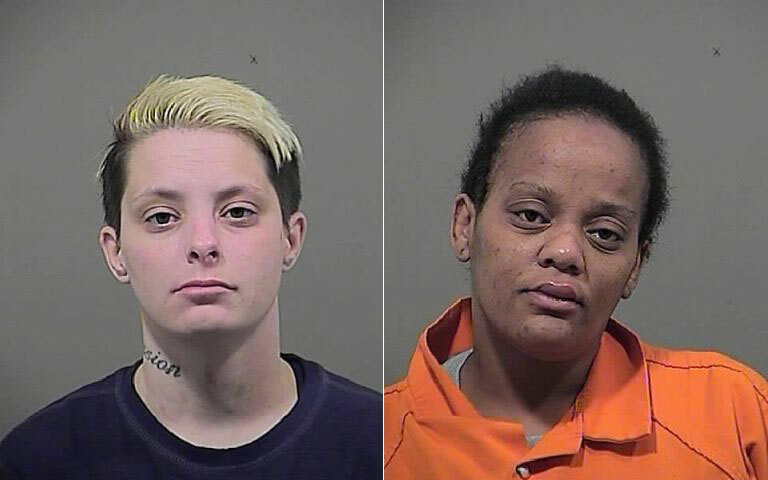 Tonya Renae Riffe, 34, and Lila Juanita Smith, 27, are charged with armed robbery, kidnapping, first-degree assault, second-degree assault, use of a firearm in commission with a felony and theft. They are being held at the Charles County Detention Center.